Charity fun-run based in Paignton (aptly) which involves a 5K run, getting doused in paint en route and an evening of live music! The 2013 line-up featured We Are The Ocean, Treetop Flyers, Wolf Alice, Outfit, Lonely the Brave and more. 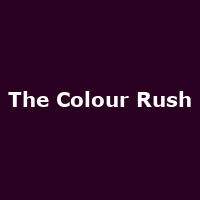 "The Colour Rush is a 5K run but the emphasis is firmly placed on fun. We don't care how athletic you are, how old you are and there's no prize for crossing the finishing line first. The Colour Rush is about getting caked in powder paints, from head-to-toe, so get your brightest whites on and prepare to be turned into a human rainbow".